The combined Umhlanga and La Lucia node is accessible from the N2 highway via the M41, with La Lucia south and Umhlanga north of the M41. Approximately 87.9% of total stock is A-grade with many buildings having sea views and attractively landscaped gardens. Amenities include retail and medical facilities, banks as well as hotels. Gateway Theatre of Shopping (a popular retail destination) is undergoing a refurbishment and 20,000m² expansion, while Cornubia Mall opened its doors at the end of 2017. The node is well established and secure. 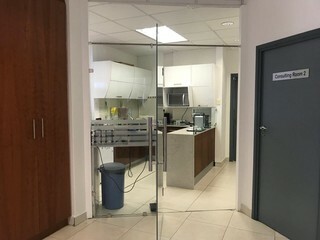 Many buildings are located within secure office parks with boom gate access, 24 hour security guards and electric fences. Vacancies in the region average between 2.0% and 9.5%, depending on building type and/or location, with the node overall recording an average vacancy rate of 5.0%. Until recently most development has been tenant-driven, resulting in an equilibrium in supply and demand. As building and land prices increase, as do the value of sea views, rentals are managing to peak at around R200/m²/month in certain instances. Retail amenities are in abundant supply with multiple offerings found in the node. Additionally, the R4billion mixed-use Oceans Mall development is expected to be completed in the latter part of 2019. The node has experienced increased levels of market activity for both sales and leasing. 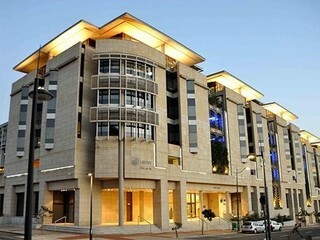 The node has become home to a large number of blue-chip tenants such as Aspen Pharmaceuticals, KPMG, ABSA, Nedbank, Investec, FNB, EY, Deloitte, Vodacom, AECOM etc. 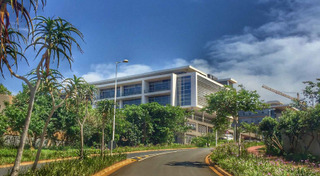 The combined Umhlanga and La Lucia office node is well-located with easy access to national roads and major arterials. The node is a short drive into Durban central and less than 15 minutes from King Shaka International Airport - which will offer direct international flights into London at the end of October 2018 - and the Dube Trade Port Cargo Terminal. Sections of the major N2 highway intersection upgrade have recently been completed and have played a large role in easing traffic congestion within the node. While the Umhlanga New Town Centre enjoys access to a larger variety of amenities owing to its mixed-use characteristics, retail and medical amenities are located in close proximity to all three areas. The La Lucia Office Parks area is well established, secure and very popular with businesses looking for, generally smaller, A- and B-grade offices in “park-like” environs that lack the access to amenities of the New Town Centre precinct. Mount Edgecombe and the newer Cornubia areas north of the N2 contain a number of existing offices and new office development opportunities. The extent to which the area starts to compete with the Umhlanga/La Lucia node over time remains to be seen. An increased number of P-grade offices have recently come onto the market and many new additional office developments are scheduled to be launched in the next 12 – 24 months. This new space, measuring approximately 100,000m², is expected to create numerous quality opportunities for blue chip tenants for the foreseeable future. However, the impact of current economic conditions on the take-up of space as well as the possible resistance to higher rentals remains to be seen. The La Lucia Office Parks area has reached maturity and has been stable over recent years without significant movement or development. By contrast, the enormous amount of development across all categories (office, retail, residential and hotel), in both Umhlanga Ridgeside and New Town Centre as well as neighbouring Cornubia and the Sibaya Precinct to the north, is expected to create opportunities in the form of jobs and economic stimulation. It is also expected to drive property sales and leasing transactions while simultaneously transforming the landscape of KwaZulu- Natal’s coastline. Sectional Title Sales Remain Strong!